Real Madrid goalkeeper Thibaut Courtois appeared to have hit out at teammate Gareth Bale for constantly refusing to attend team bonding sessions off the field. Since leaving Tottenham Hotspur to join the Los Blancos in 2013, the Welshman has been at the centre of criticism for failing to live up to his hefty £85 million price tag. The 29-year-old has also been criticized for his refusal to learn the local language despite having lived in Madrid for years. Former Wales manager John Toshack had recently slammed the move telling Onda Cero, "If you move to a team abroad, you should learn the language out of respect for the fans." Bale needs to make an effort and if he does that will help him. He is a truly great player but has been restricted been injuries." 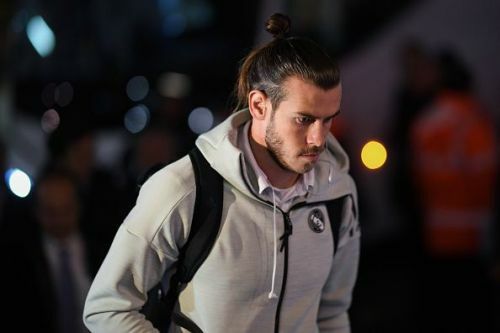 Thibaut Courtois has now suggested that rumors of Bale's isolation among his teammates may be true as the Belgian shot-stopper revealed that the former Spurs star recently skipped a team dinner. Speaking to Belgian newspaper HLN (via Sky Sports), the former Chelsea man said, "It is very hard to describe Gareth in one word." "I would say he has so much talent, but that it is such a shame that so often that talent is blocked from shining." Courtois proceeded, "I live like somebody who is born and bred in Madrid. I eat late, I go bed late... it is their way of life. "The other night we had a dinner with the entire squad. "But Bale and (Toni) Kroos did not turn up. They reckoned the dinner was too late at night. "We had arranged to be in the restaurant at 9.30pm and we started out meal around 10.15pm and by midnight we were having coffee. "We go to bed at around 1 am. We have to train every morning at 11 am. I think that is a perfect time. "But Bale had told us 'I am not coming to join you, guys. I go to bed at 11'." After a shock defeat to Girona over the weekend, Madrid are next set to face Levante in La Liga on February 24. Is Gareth Bale capable enough to replace Cristiano Ronaldo as Real Madrid's talisman?